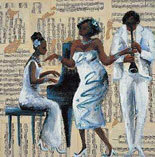 Jazz in Harlem! 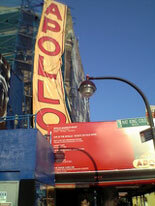 Amateur Night at the Apollo Theatre! These are words that resound with meaning and history, the history of American music. Enjoy a succulent Soul Food dinner in a local restaurant and spend the evening at a local Jazz club, or help discover the next rising star at the Apollo. 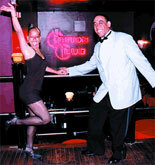 Come and relive the high-stepping, fun-loving nights of the 1920's! Tour the neighborhood with one of the professional city guides and learn about Harlem's role in the history of jazz and the roles of it's noted jazz musicians in giving New York it's musical edge. See the site of the original Cotton Club, where Duke Ellington and Lena Horne spent hours wowing crowds from around the world. Drive past the site of the Savoy Ballroom where Benny Goodman and Chick Webb fought it out during their 'Battle of the Bands', and where the 'Charleston', 'Lindy', 'Hop' and the 'Big Apple' dances were firmly cemented into American culture. See the world-famous Apollo Theater, where Sarah Vaughan and Ella Fitzgerald won the popular Amateur Night, which still boasts standing room only audiences every Wednesday night. 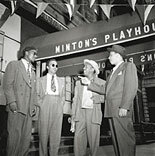 Pass by the Lincoln Theater, where Fats Waller's passion underscored Vaudeville shows, and Minton's Playhouse, where bebop was born and where Charlie Parker, Miles Davis, and Thelonious Monk started the tradition of jam sessions. On the way to the music, you'll dine at Sylvia's legendary restaurant---famous for it's soul-shattering 'Soul Food'. So forget the A Train. Make a reservation and experience a great night out in Harlem! Mondays and Thursdays - Time: 7:00pm to 12:00am. Meet at: 6:45pm (english) - 6:30pm (all other languages). Closed for all major Holidays if they fall on a Monday or Thursday. There is a parking garage in Times Square, just 2 blks from tour departure point. Must be at least 21 yrs old for this tour. Reservations are Necessary 48 hours before tour date. With advance knowledge, wheelchair bound customers can be seated in the front row of the tour bus. Please inform customer service of your needs when reconfirming your reservation. A confirmation for the services booked must be printed and brought with you. This is the documentation you need to exchange for actual boarding tickets at the ticket office. Picture ID required. Please call 48 hours in advance if you need to cancel. Customer Service information will be on your eTicket. Guarantee Note: Due to the limited reserved seating and factors beyond the control of the operator, this product does not fall under the Trusted Tours and Attractions Guarantee program.